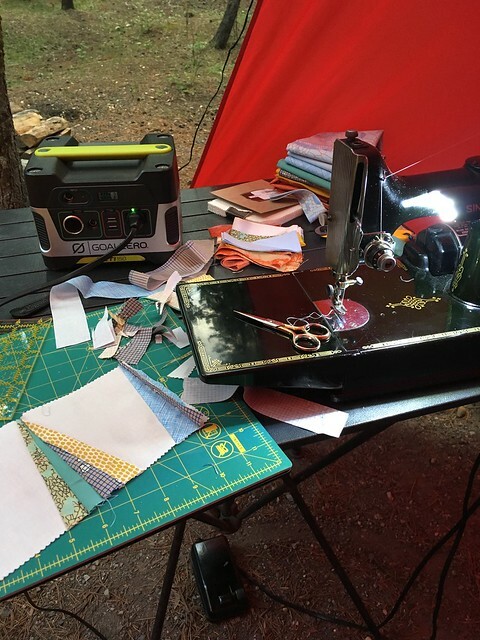 Sew Outside – Banff National Park | What Goes With What? 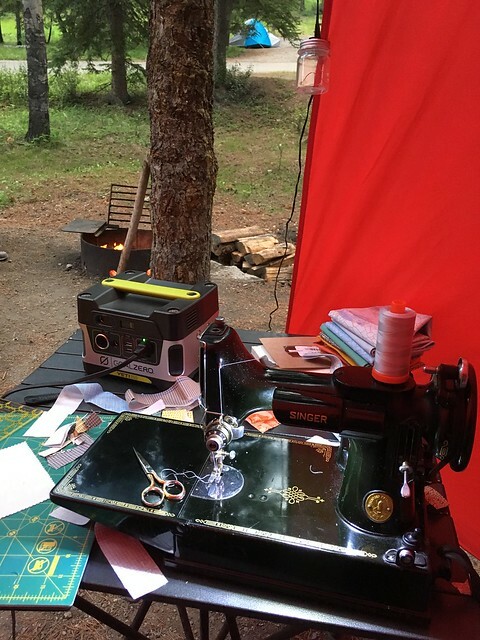 Sewing in the wild. Yes you can take your sewing machine anywhere! Camping in Banff National Park Canada at Tunnel Mountain. We spent the cloudy day walking around Canmore and Banff. 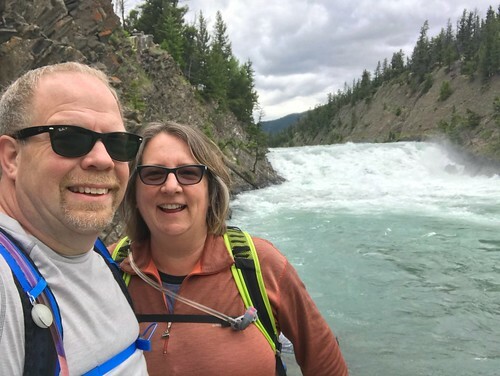 It had been a long drive the day before so The Viking and I needed a little down time before our big hike at Johnston Canyon the next day. What are the chances? When pulling into a parking space I looked across the street to see a quilt shop/yarn and gift shop. 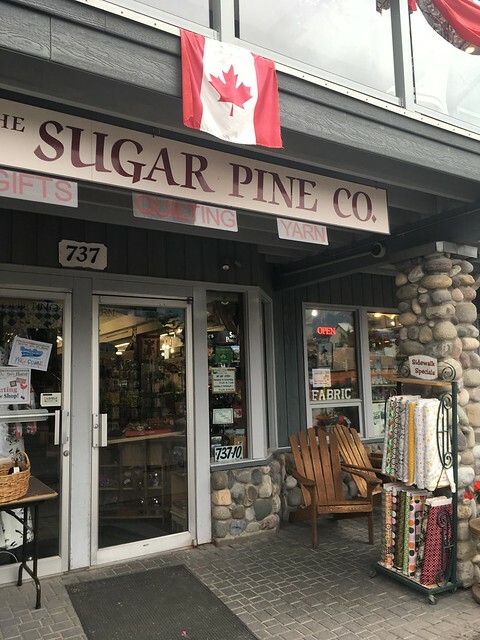 The Sugar Pine company. Fun shop. Lots of great fabric. The Viking pointed out that all the collections had fat quarters nearby. 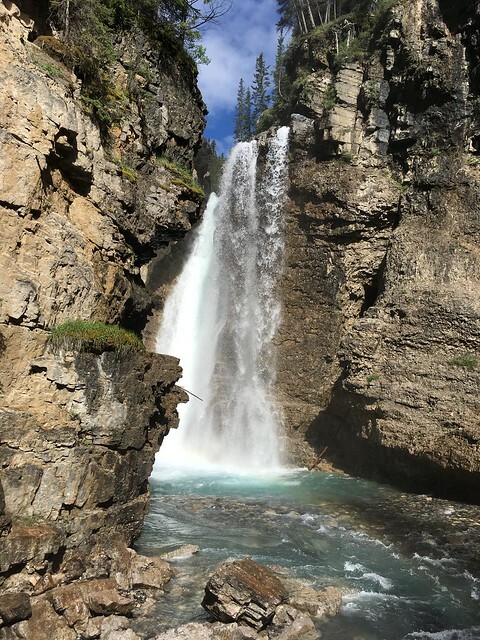 While in Banff we took a stroll down to Bow Falls then up to the Fairmont Hotel. That night I was inspired by the mountains and broke out the sewing machine. The Canadian Rockies have so many layers and different textures. My idea jumped off there. First I cut strips of each fat quarter I brought with me. Next I used a charm pack of Kona Snow to sew strips onto then I joined 2 squares to make a mountain. What a thrill!! To be able to run my machine outside next to the camp fire in the Canadian Rockies!!! I was super impressed with the Goal Zero Yeti 150 Portable Power Station which had no problem powering the Singer Featherweight. The speed was normal and MJ felt like she was plugged into the wall at home. I am elated to report that you literally can sew outside anywhere your heart desires. Opt Outside! Sew Outside! Sew in the Wild!!! 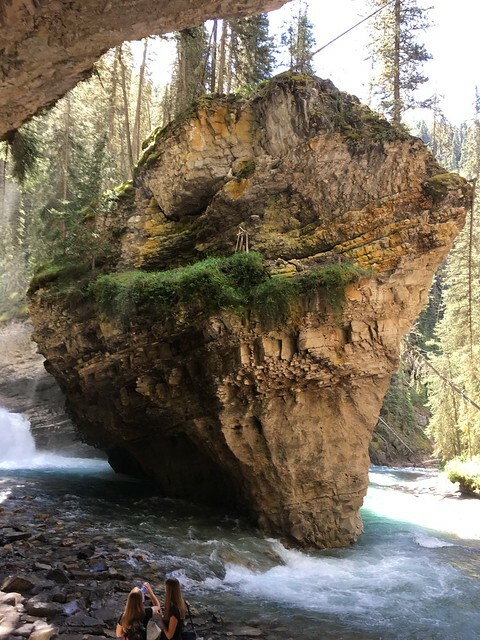 We did make it to Johnston Canyon the following day. Words can’t even describe just how amazing this hike was. Follow on Instagram WhatGoesWith_What and Letyourselfgoadventure for more up to date posts. 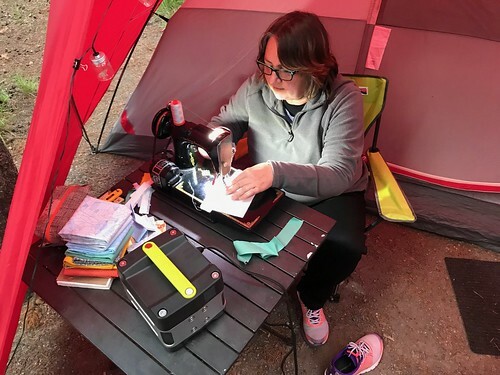 This entry was posted in Adventure, Sewing and tagged Goal zero, letyourselfgo, off grid, sew in the wild, Sew outside, sewinthewild by Diana. Bookmark the permalink. so exciting. love following your wonderful adventure. Thank you! It is an amazing adventure! 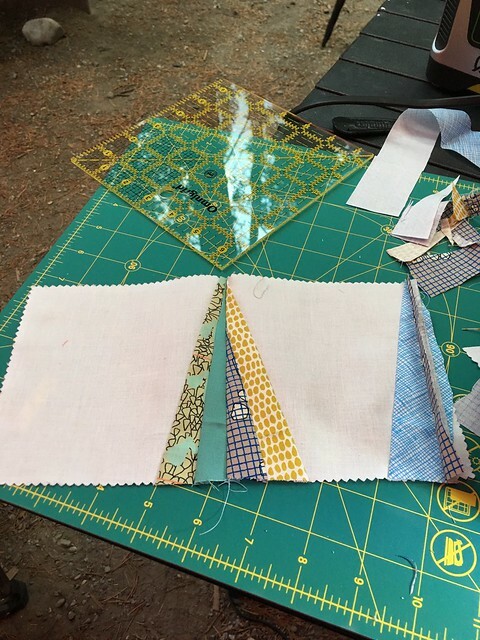 Pingback: Sewing By The Sea & Kalaloch | What Goes With What? Pingback: 11 Essential Quilt Retreat Sewing Tools | What Goes With What?